Getting braces is a huge event in a persons life especially if you’re a teenager. I grew up in Suffolk County on Long Island and as a pre-teen; I became very self-conscious due to a pronounced overbite that happened when my permanent teeth grew in. In 5th and 6th grade my nick name became Bucky Beaver and I was teased quite often. Basically, being a quiet person by nature, this was torture for me. At age 10, teeth straightening became my focus; I started following my mother around the house, moping and begging. I wanted to get braces in the worst way. When I was 12, after several years of pleading, my Mom, finally took me to see an Orthodontist. I was just mortified when he told me I had to wait until I was 15. At age 15, in the world of nicknames, I traded Bucky Beaver for Tinsel Teeth and went through high school with heavy metal brackets and rubber bands and a variety of creative names. It wasn’t until I completed my first year of college did my braces come off. That was truly a great and liberating time for me. I hadn’t had a confident smile with straight teeth since I was a little kid. It was great to not have the very heavy social burden of buck teeth or braces. I felt free. 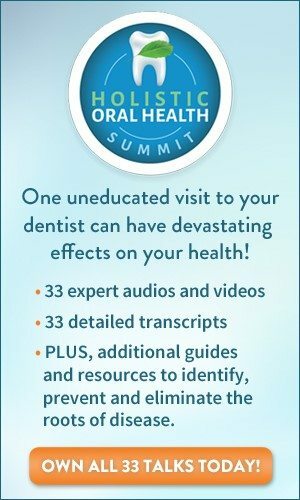 Since my experiences with dental braces there has been much advancement in the art and science of straightening teeth. 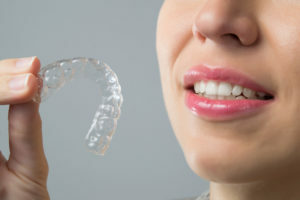 Several years ago a new system of invisible braces were developed for adults called Invisalign. They are designed for each person from a custom impression made of their teeth. From the impression custom aligners are designed and manufactured. 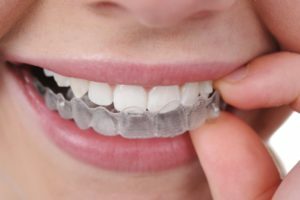 These custom plastic aligners are worn approximately 20 22 hours a day and are easily taken out for eating, brushing and flossing. Every two weeks or so there is a brief visit to your Invisalign dentist to get the next set of aligners. The whole process usually takes only one year! Currently, my niece, also growing up on Long Island, needs to get it. Up until recently her only option (many years after my experience) was also to get a mouth full of heavy metal, as the new clear braces were only available for adults. Well the great news is, that not too long ago, a miracle happened for my niece and for thousands of other teens facing getting it. Invisalign recently announced that Invisalign for Teens was now available. The teen program also includes extra aligners, in case oops, I lost my braces happens (A little extra peace of mind for teens and parents alike). Invisible braces are not the solution for all orthodontic conditions. An exam and consultation with an Invisalign dentist will determine if clear braces will work for you or not. 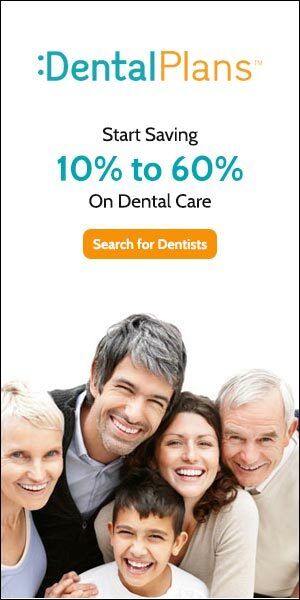 The good news is that they do work for most people on a quest for straight teeth. Some words of advice from a teenage survivor of old fashioned braces. Whether you are a teen or a parent of a teen, they are a life changing experience.